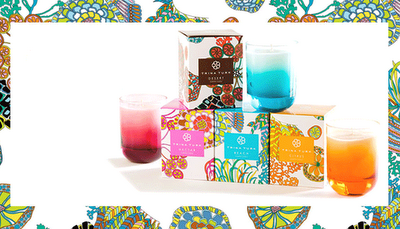 These four candle scents (Beach, Citrus, Nectar, and Desert; $38 at Trina Turk) are inspired by Trina's love of the California coast. 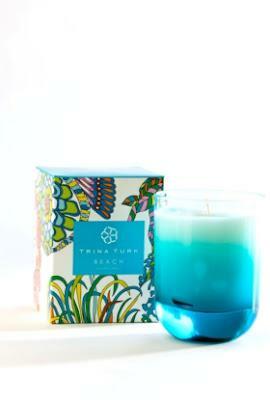 Perfect for gifting, with the wraparound "landscape" design in cool shades of blues, oranges and browns. 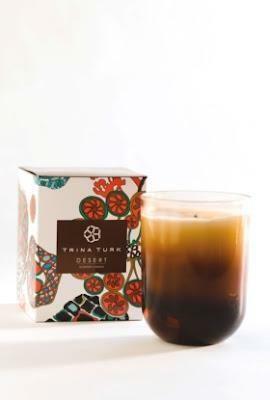 Developed with Nest Fragrances, Trina Turk Candles are made with a premium, soft, soy-blended wax base. The lead-free wicks are made from natural, high-quality, braided cotton. 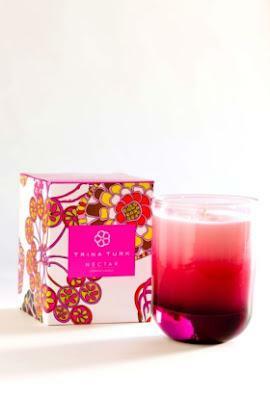 Fragrance oils were developed by world-leading fragrance houses and meet the highest performance standards. 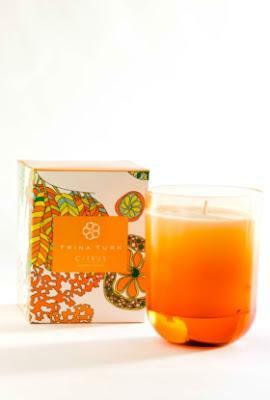 Fragrance oil is blended throughout the wax formula to easily infuse a room with scent. High-quality ingredients with high-quality wicks allows for a consistent and even burn.